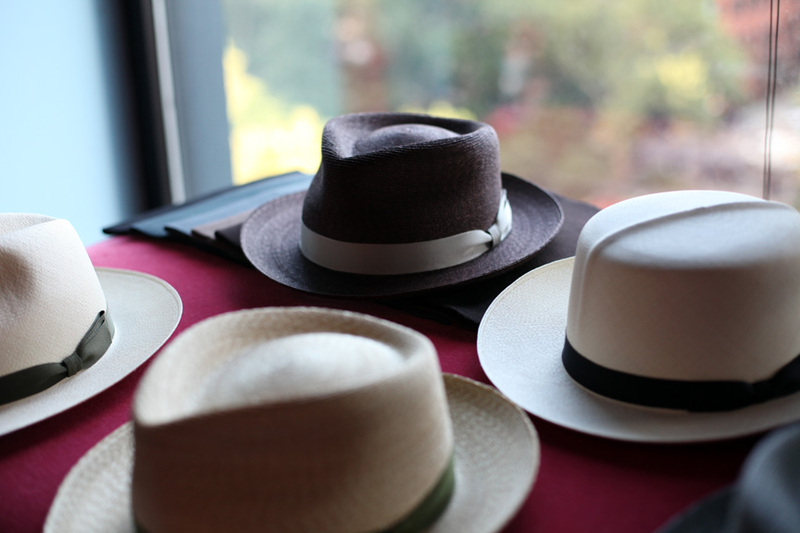 Hands On | Optimo Hats | A Continuous Lean. 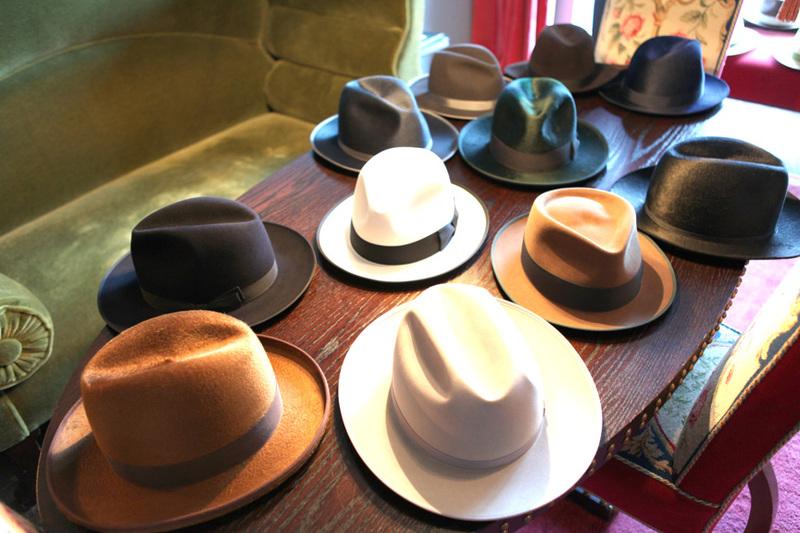 The Optimo Hat Company video that I posted not too long ago had me pining to own one. But realistically, when was I going to be in Chicago again (I was there two times more this year than the past ten) to visit Optimo in person? Then out of the blue the company founder Graham emailed me to tell me Optimo is holding its yearly NYC trunk show this weekend at the Gramercy Park Hotel. This was great news and I quickly set up an appointment to see what was on offer. To see the hats in person and try them on was such a nice experience. 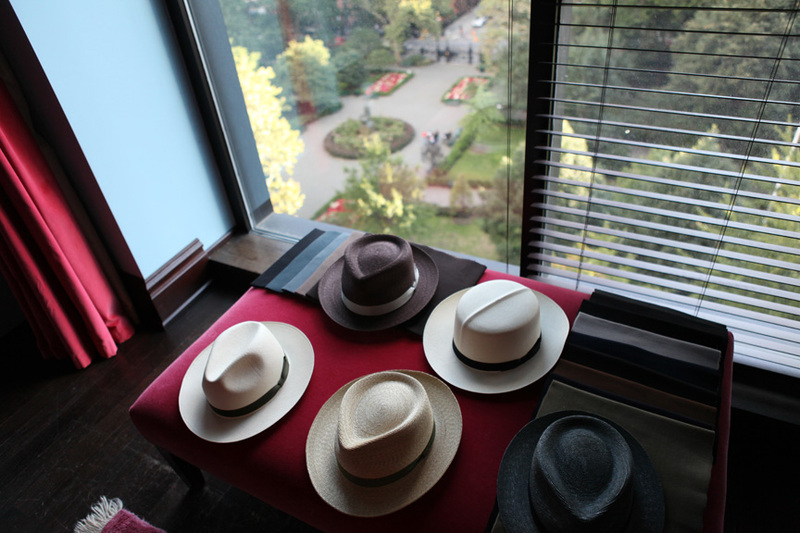 The tactile quality of the felt was wonderful and the Panama Hats are truly special. It made me want to run home get into a suit and head straight to 21. The trunk show is set up as one-on-one appointments for customers to get fitted and browse the different style and material options. If you want to buy a hat, Optimo takes the order, then the hat is made especially for you and sent out a few weeks later. It is a familiar process for anyone that has met with a visiting tailor. But since today was the last day of the trunk show, you will have to visit the Optimo shop in Chicago to get your hands on one. And trust me, these hats are best appreciated on your head. of these more than the way i look in one. Im a cap guy. Will be in Chicago in December and will make a point to visit. I’ve had a thing for fedoras for years and just about always wear one for work related travel (much easier to deal with than an umbrella when it’s raining). I’ve seen a few hats from Optimo, which, I believe, made the hats for Pubic Enemies and I have been impressed with the quality and finish. While I don’t own an Optimo I do own three from Vintage Silhouettes (VS Custom Hats) in Oregon. The fit and feel of a custom made hat cannot be beat and the ability to select the color and weight of the felt, the size of the brim and how it will be finished, height of the crown, the ribbon and knot and especially the bash make every hat unique. All of these details express a little bit about the personality of the owner and make a statement. For decades men wore fedoras and there were practical reasons for it. 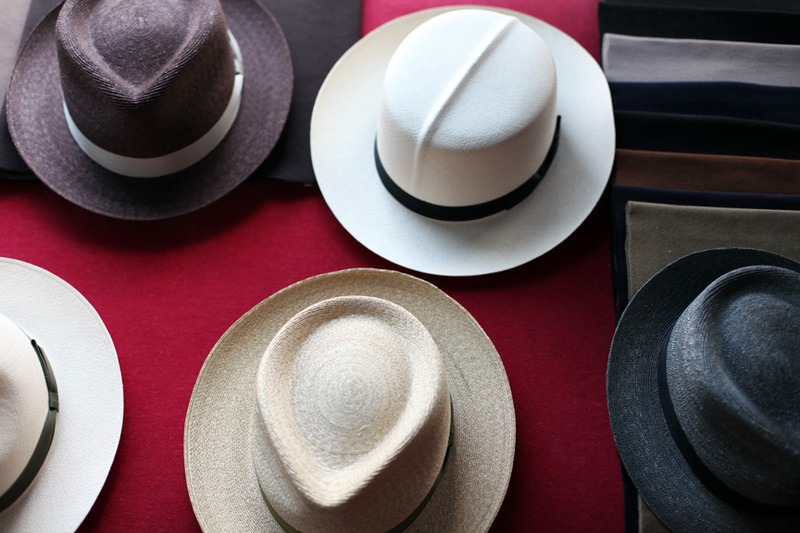 Some things may have changed but I still believe there are practical reasons for owning and wearing a classic looking fedora and cheers to Optimo, and the handful of custom hat makers, for keeping up the tradition. Men always get shorted on accessories. Women have them all day!! There are 3 types of accessories that I love to wear. Watches, hats, and Fashionable Men’s Rings.